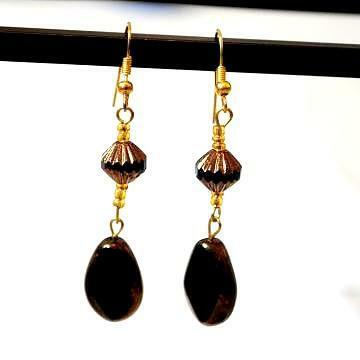 These exquisite Onyx Dark Brown Semi Precious Stones Earrings are a Superb pair of earrings. Designed with great elegance and features, these earrings bring out your own style and individuality. Matching Necklace is also available on request.